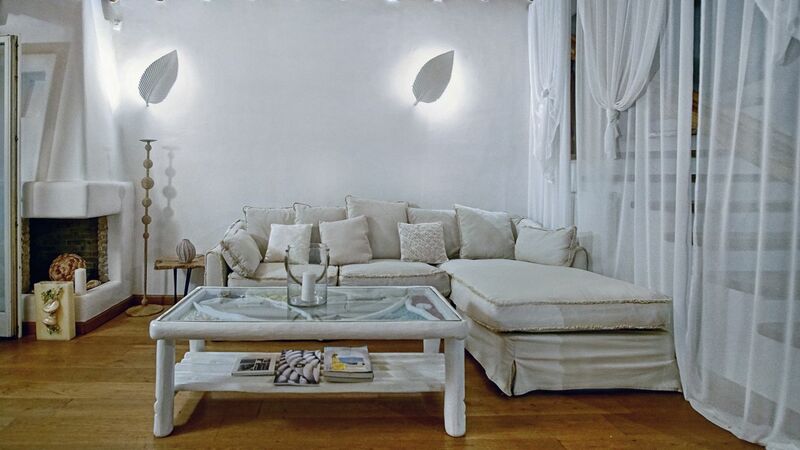 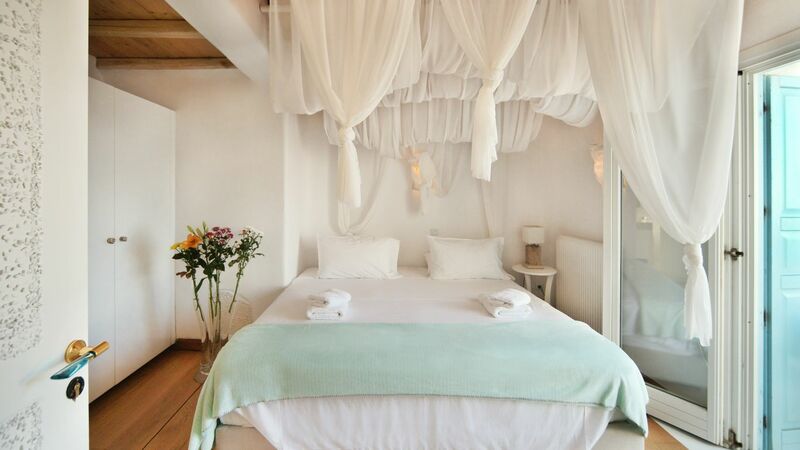 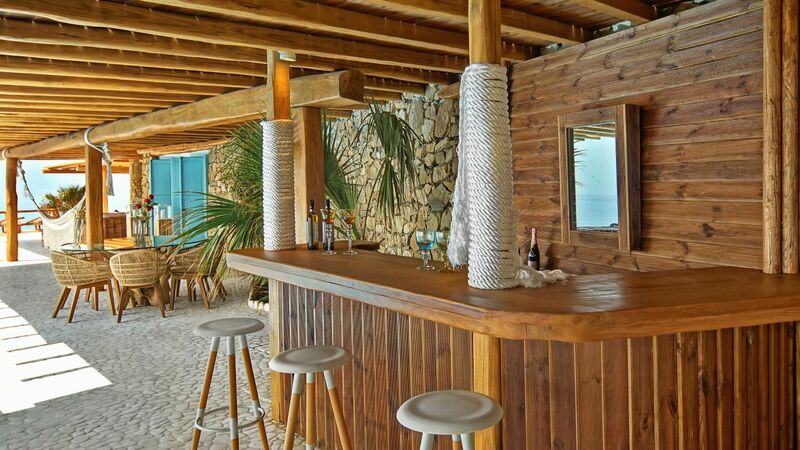 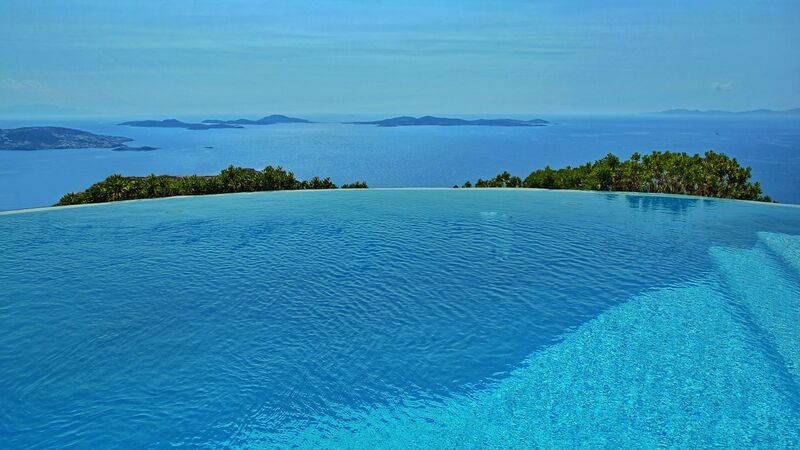 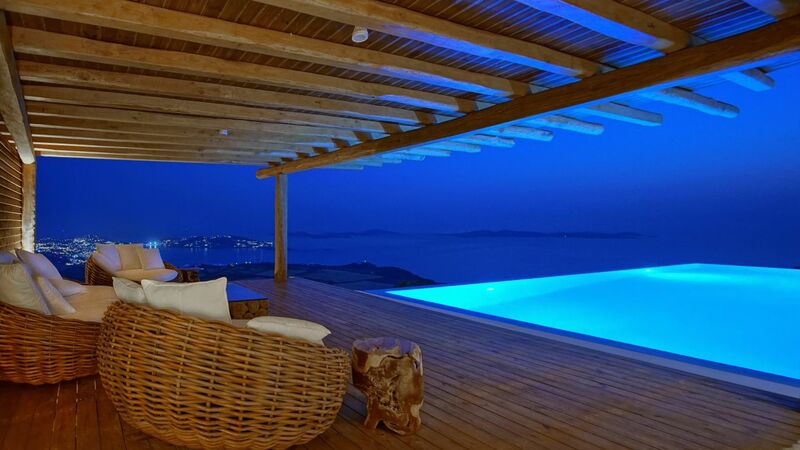 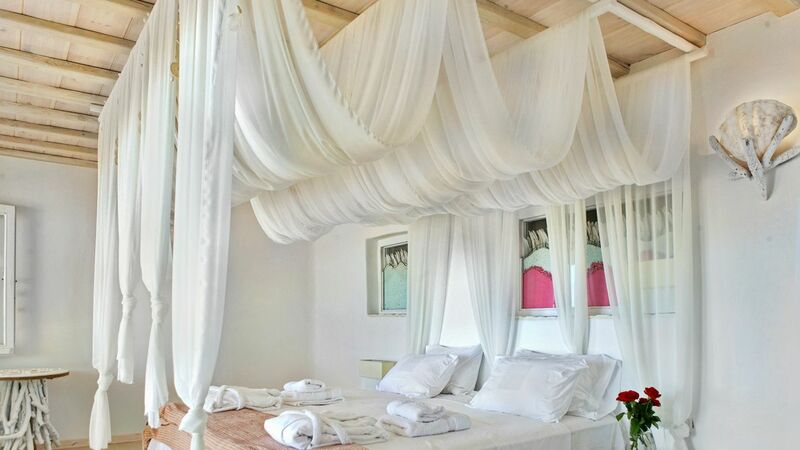 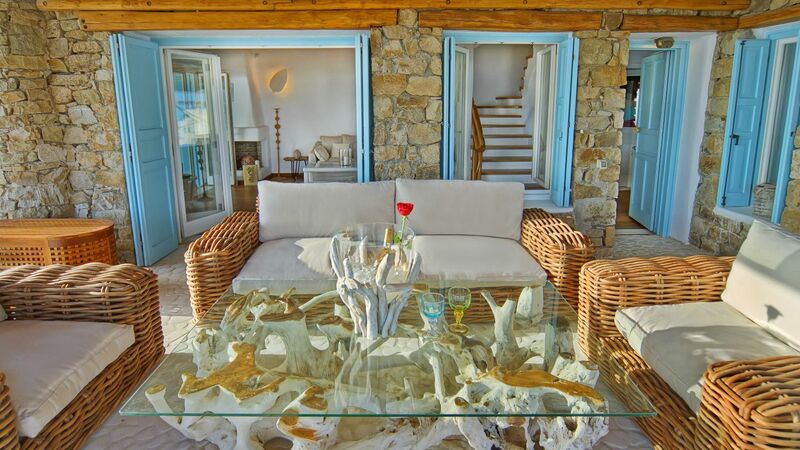 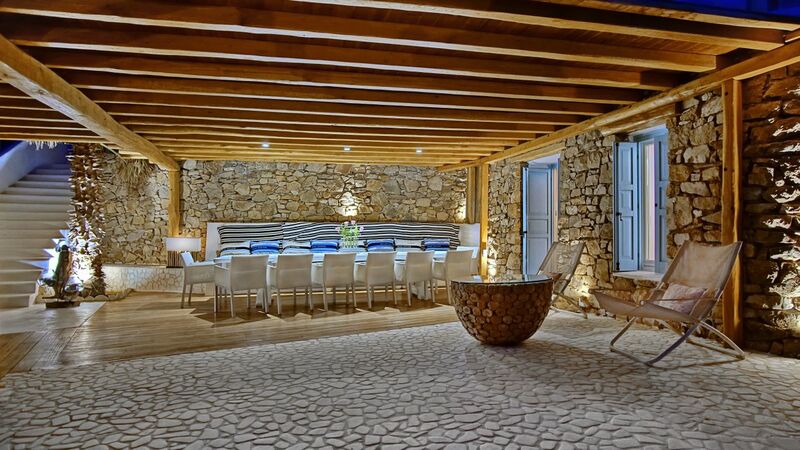 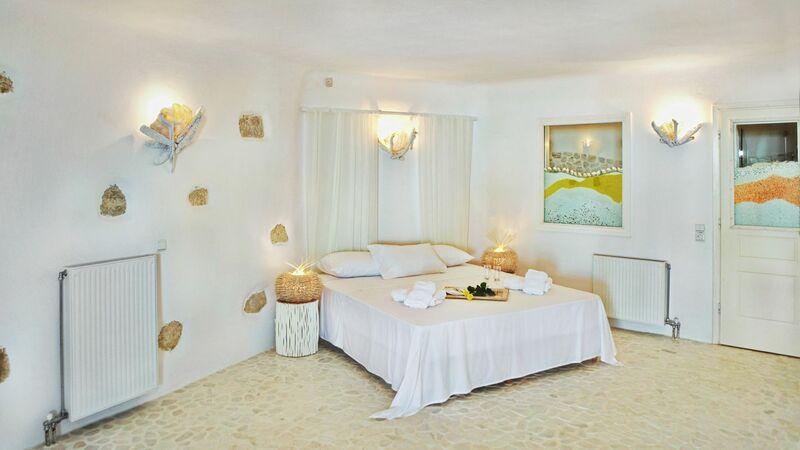 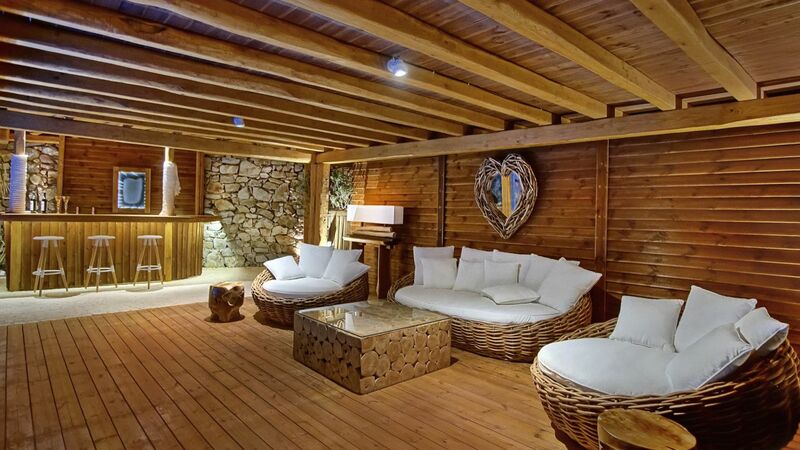 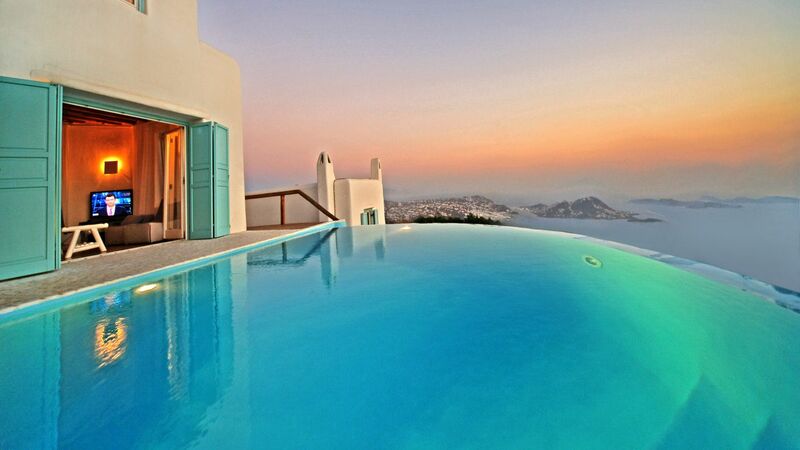 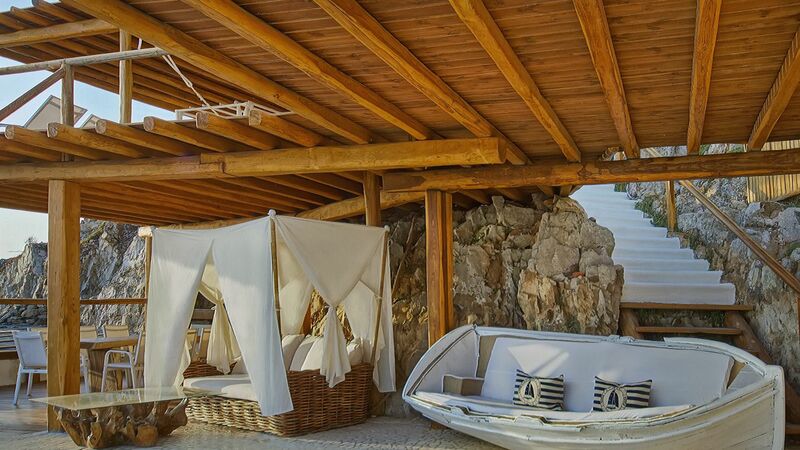 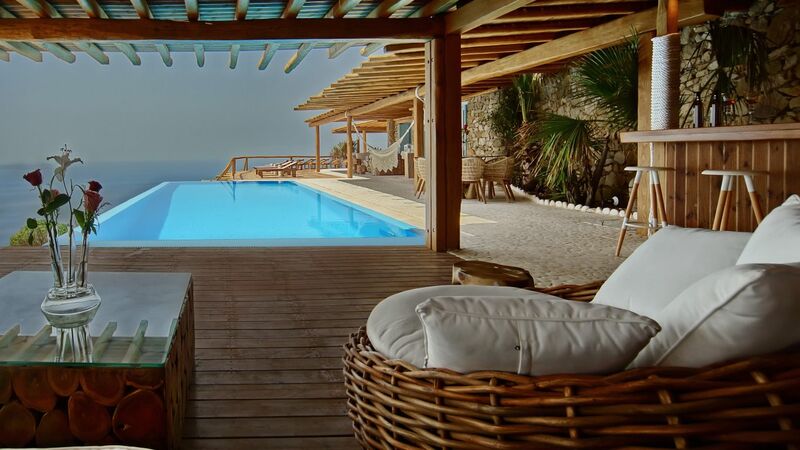 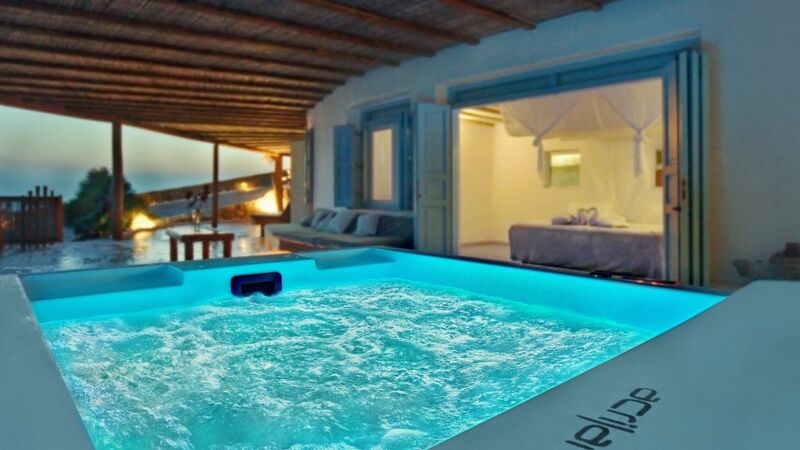 Villa Brenda 1 is built in the area Kastro, just 10 minutes from downtown by car. 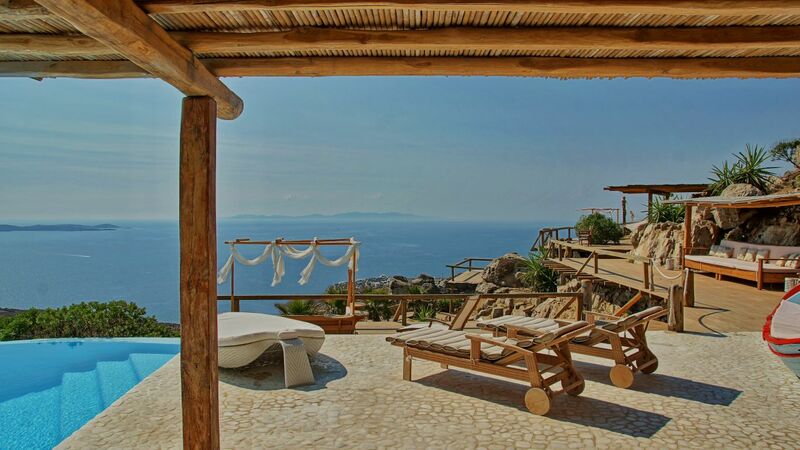 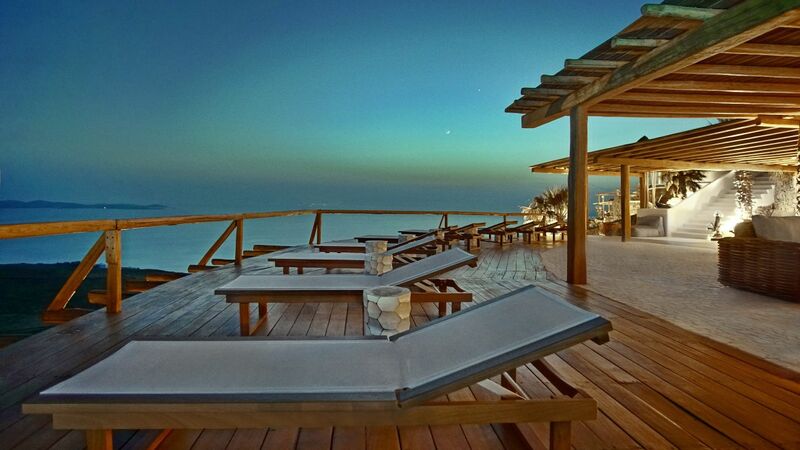 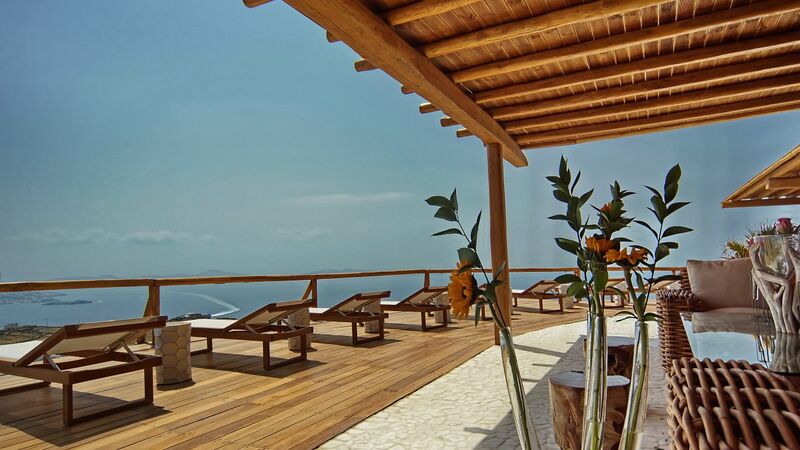 The villa offers total privacy as the guests can also land in the helipad located just next to the villa. 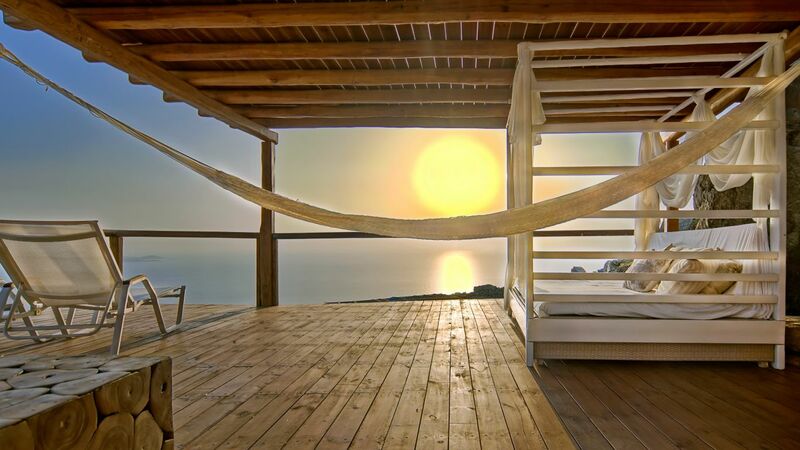 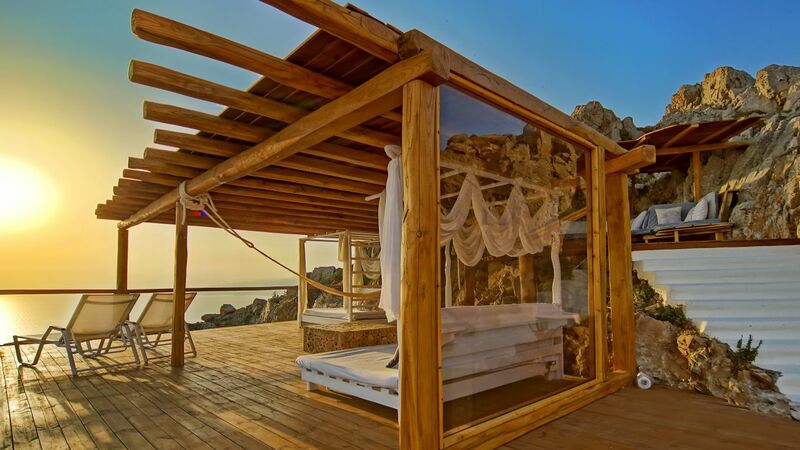 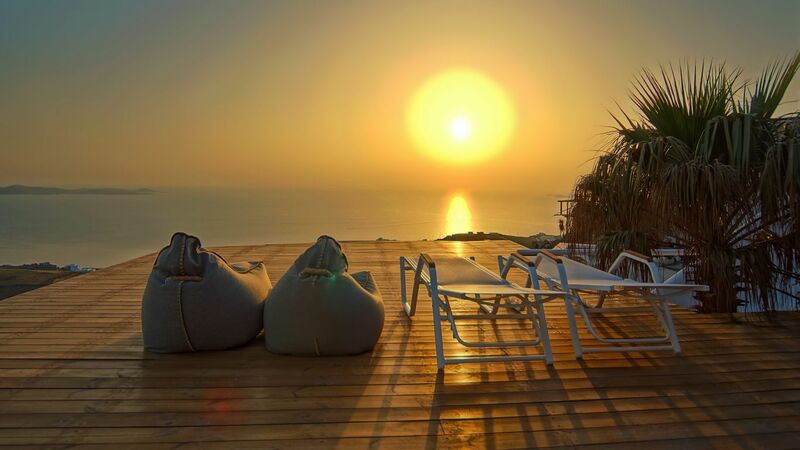 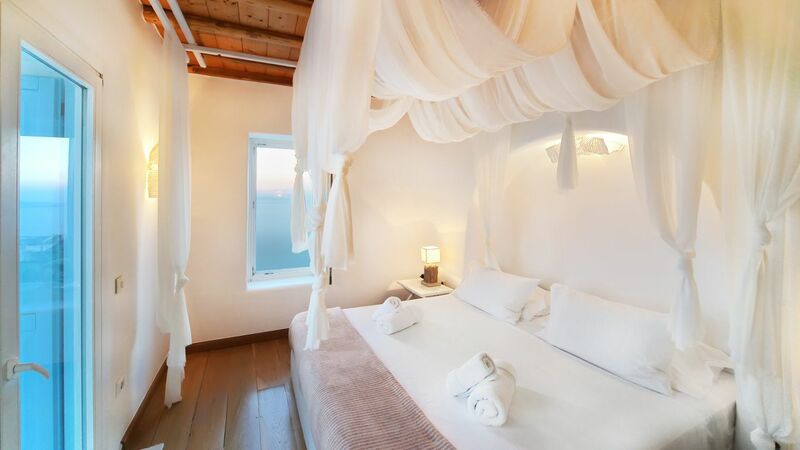 The state is built to offer the most panoramic breathtaking view, facing the sunset and sharing an 180 degrees view of Mykonos Island during day and night. 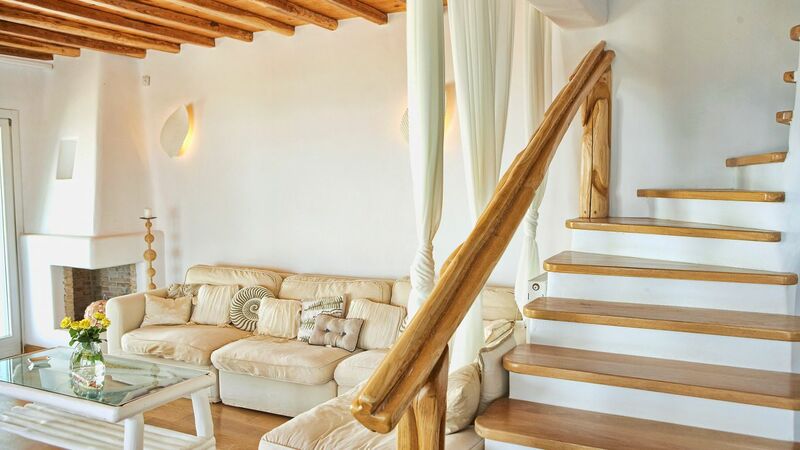 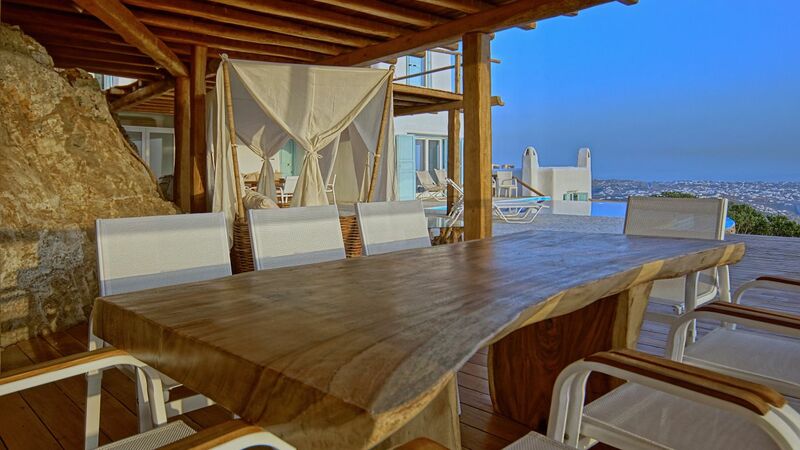 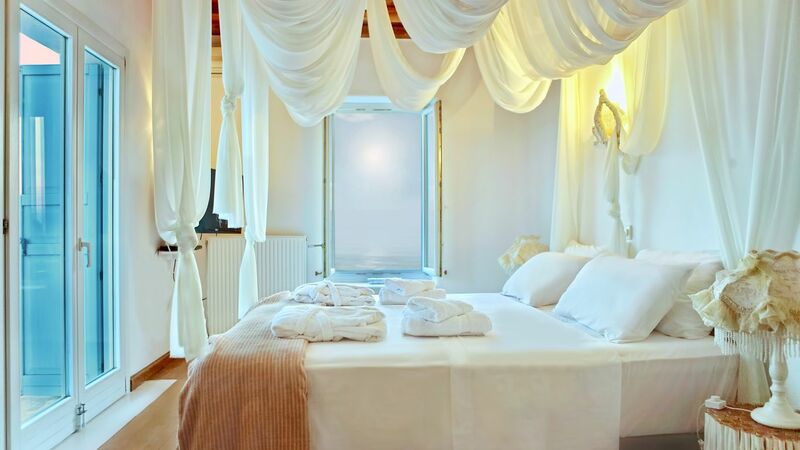 The villa comprises of living and dining rooms with unique dining tables, a fully equipped kitchens, a comfortable lounge facing the fireplace, 12 bedrooms, and 13 bathrooms. 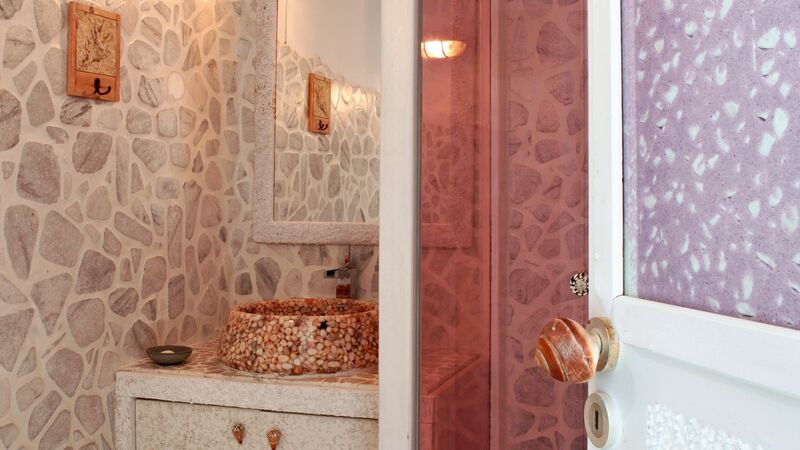 All handcrafted bathrooms of the house are splendidly decorated with natural stones, colorful sea elements, and lavish adornments and graciously appointed with luxurious amenities such as power showers with colored windows and colored running water. 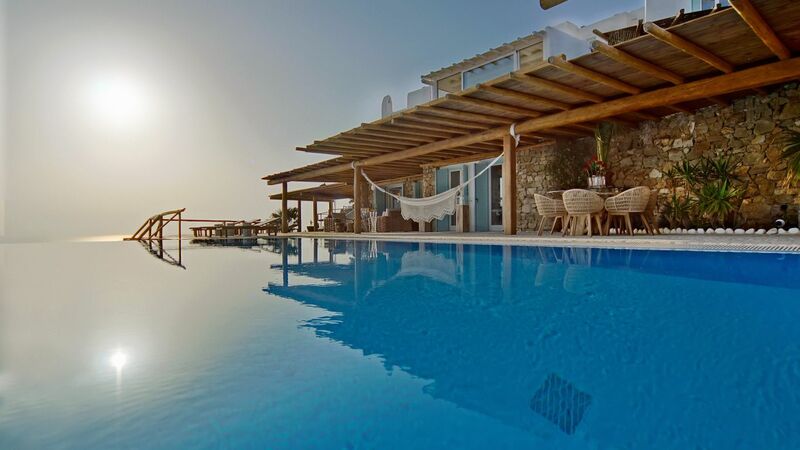 Outside the villa, guests will find 2 private infinity pools (90m2 & 48 m2), outdoor dining areas, outdoor relaxing areas and beautiful garden. 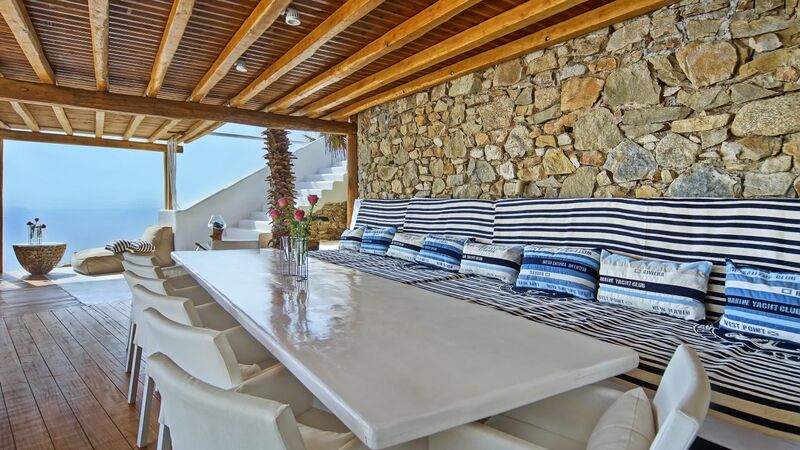 This villa shares facilities like tennis court, gym, and helipad and occupies a well trained multi-language staff for all needs.